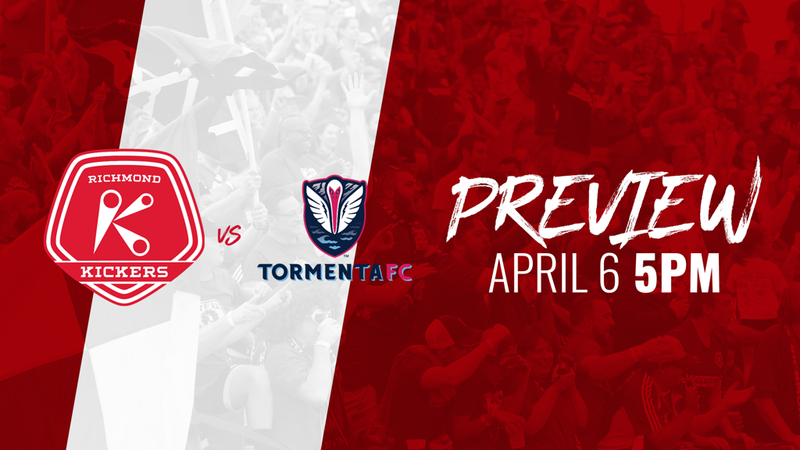 RICHMOND, Va. – (Friday, April 4, 2019) – The Richmond Kickers (0-1-0) return to City Stadium Saturday night to host South Georgia Tormenta FC (2-0-0) for a 5:00 p.m. kickoff. Saturday night is College Night where all college students can get tickets for just $10 with a valid student ID. The party starts with drink specials for the first 30 minutes when the gates open at 3:30 p.m., plus live music from the Hit List. The Kickers take the field at 5:00 p.m. to face Tormenta. This match will be streamed live on ESPN+. Tickets are on sale now at RichmondKickers.com.